The most recognizable uniform of the Marine Corps is the Dress Blue uniform and often seen in recruiting advertisements. It's equivalent in composition and to the civilian black tie. 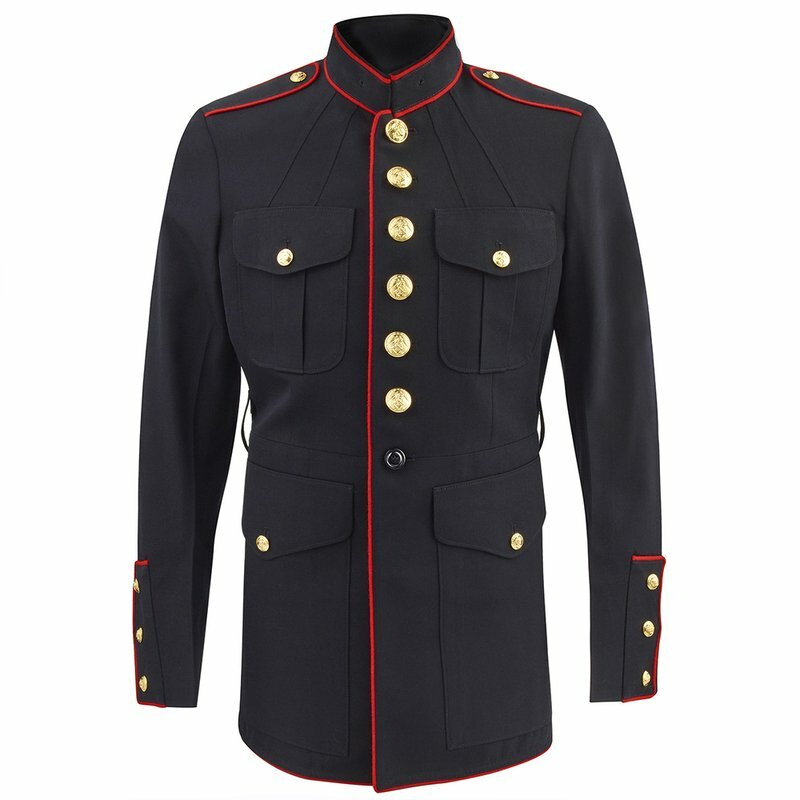 The Marine Corps Dress Blue Coat is worn during formal events or ceremonials. The Dress Blue uniform is the only U.S. military uniform that incorporates all three colors of the U.S. Flag. There are three different variations of the Dress uniform: Evening Dress, Blue Dress, and Blue-White Dress; only officers and SNCO (Staff Non-Commissioned Officer’s) are authorized to wear the evening dress.